A cruise along the river Vltava on one of these small ferry boats will afford us a glimpse of Prague as our ancestors saw it. We will have the opportunity to visit the remains of the ancient Judith Bridge – the first stone bridge to have been built in the city – which, concealed as they are below the modern-day Square of the Knights of the Cross with the Red Star, may, in fact, be accessed only in this way. 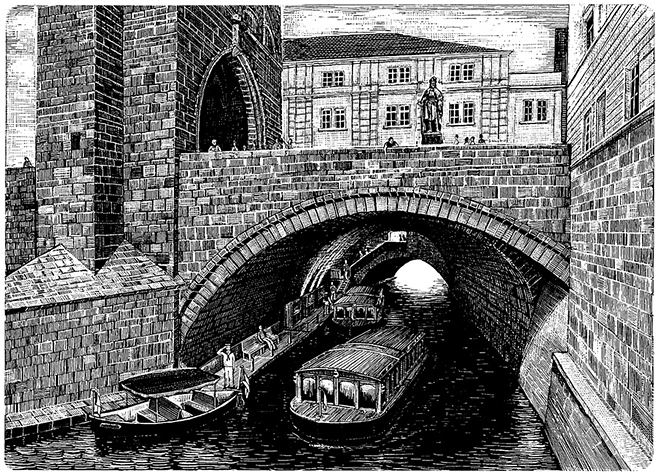 From here our cruise continues along the embankment of Prague’s Lesser Town, on a stretch of waterway known since ancient times as the Devil’s Stream (Czech: ‘Čertovka’). 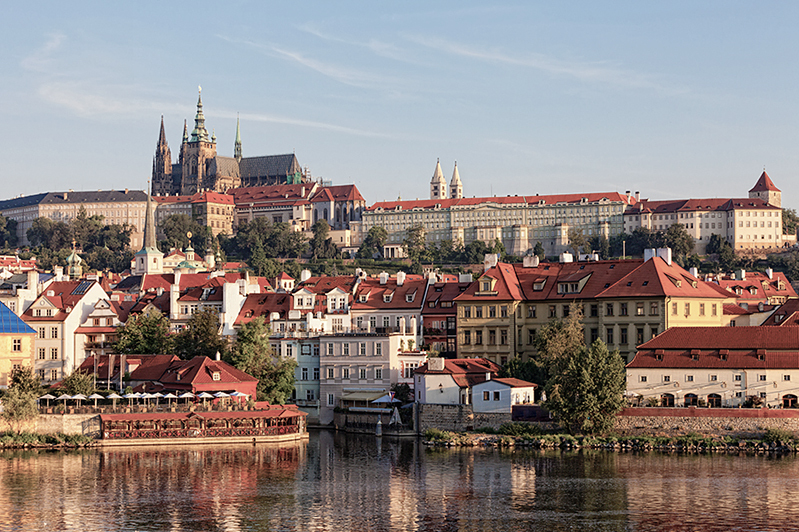 This route affords us a new and perhaps surprising view of Prague’s monuments, a view known in days of old to none but the local fishermen and the intrepid oarsmen of the boatmen’s guild. Besides these unique spots our ferryboat tour also takes us past the former Old Town mills, the National Theatre, the Lichtenstein Palace, the legendary Prague Castle, the monastery of the Knights of the Cross with the Red Star, and numerous other gems of both architectural and historical interest. We will also be among the few to have had the unique opportunity of properly exploring some of the most stunning bridges Prague has to offer, including the oldest and most renowned of them all, the Charles Bridge. Departure: sailings at 5.30 p.m. Assembly: Participants and tour guide are to assemble at 5 p.m. in front of the Law Faculty. Note: Please make your reservation in good time, as availability is dependent on ferry capacity! 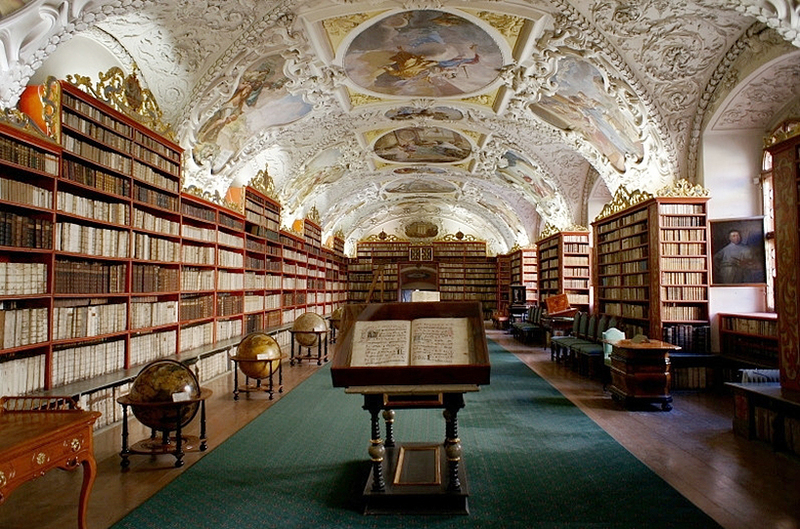 Thank you for the interest you have shown in the optional conference programme ‘Strahov monastery library guided tour followed by brewery supper’. We regret to have to let you know that, for technical reasons that have arisen at Strahov, the library itself will now not be open to us. a tour of the grounds of Prague Castle, the most celebrated of all Czech historical monuments. After looking around the Castle we will transfer to Strahov – in accordance with our original plan – for our supper, beer-tasting and guided tour of the monastery St Norbert brewery. Participants and tour guide are to assemble at 4.15 p.m. in front of the Law Faculty. The duration of the walking tour is around two hours, and comfortable shoes are recommended! We will take an interactive walk through the historic heart of Prague. As we take a look at the city’s most celebrated sights we will encounter important figures from Czech history along our way – such as the composers Mozart and Smetana, the legendary Rabbi Löw and the Bohemian king Charles IV – who will have plenty of fascinating information about the city to share with us. Our tour ends with a restaurant supper. Meeting: Participants and tour guide are to assemble at 5 p.m. in front of the Law Faculty. Note: Please make your reservation in good time, as availability is dependent on tour-group number maximum!